We are rendering Visi Cooler Repairing Services. These services are accomplished by professional’s team who has affluent industry proficiency and practice. To rendering this service in effective way, our professionals employ the advanced techniques. Besides, we render this service at reasonable costs. 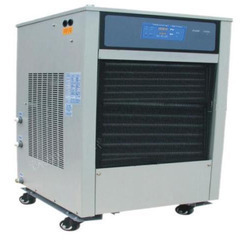 Working upon a no compromise policy with the individualistic demand of our customers, we are skilled in the delivery of Deep Coolers Repairing Services to our customer support. The services which we offer are known to deliver longer serving life as may stand with the convenience and needs of our patrons at all costs. We have carved a niche amongst the most trusted names in this business, engaged in offering Panel Cooler Repairing Service. Our company is highly esteemed in providing Panel Cooler, oil chiller, Water chillers, A/c Plants and Package A/c repairing as well as AMC Service to the clients. - Generator Oil cooler, Earth moving equipment Oil cooler etc. We are recognized by the clients for providing Water Cooler Repairing Service.